Please make special note of the updated game times as of September 30th. Mark your calendars! 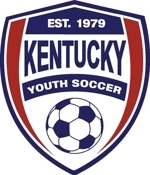 Sunday, October 4 is Kentucky Youth Soccer Day at the University of Kentucky Soccer Complex. All Kentucky Youth Soccer members receive FREE admission for you and a guest to the UK doubleheader on Oct. 4. The women, who play Tennessee, the start time was been changed from noon to 2:00 to accomodate television and while men's game has been moved from 2:30 to 4:30. Simply print out the page from the link below and redeem it at the UK Soccer Complex Pass Tent to receive your free admission.